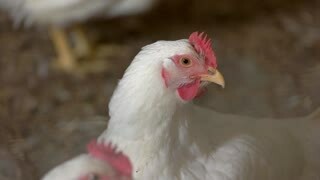 White hens stand on straw. 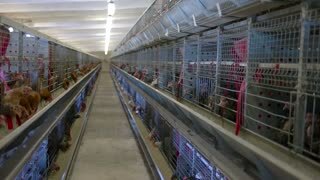 Chickens in coop. 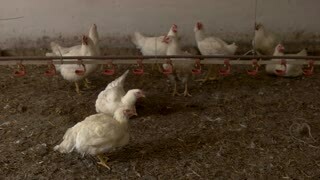 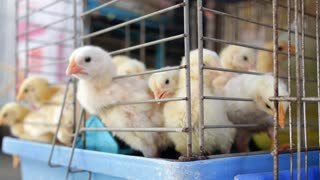 Farm is breeding broilers. 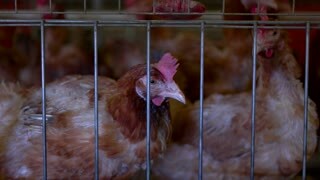 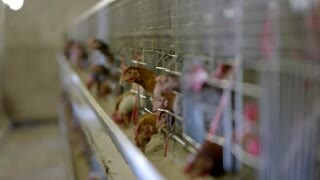 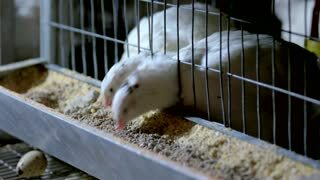 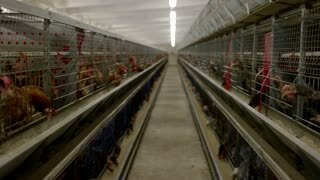 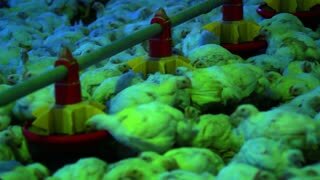 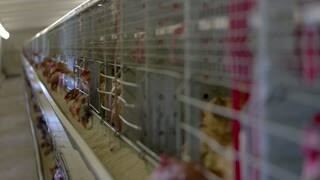 Healthy poultry needs good conditions.